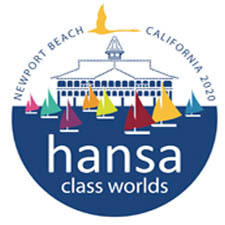 Attached below is a memo from Chris Mitchell at Hansa Sailing, designer and manufacturer of the Hansa Class boats regarding modifications to Hansa equipment. The full memo is available for download and printing at the bottom of the page. 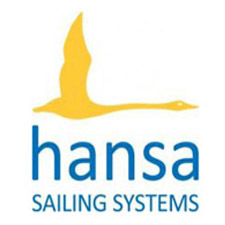 Hansa Sailing wishes to advise that no modifications should to be made to Hansa products as supplied by the manufacturer. Hansa products are designed with inherent safety features and alterations may jeopardize the integrity of the products’ performance. The C Crane as designed manufactured, has been tested to ISO 10535:2006 – Hoists for the transfer of disabled persons. To ensure the reliability of the welds, special welding procedures to suit the materials have been developed that have been tested and approved by a specialist laboratory. Therefore any changes to the design of the C Crane or re-welding may affect performance and safety. a) Roller reefing – please ensure the reefing systems on your boats are in good operational order. b) Centreboards are fully down and locked into position at all times. c) Seating low in the boat, keeping the centre of gravity low – do not fit seats which raise the centre of gravity of sailors. d) Weight restrictions as per the Owner’s Manuals. e) Sail configuration as detailed in the Class Rules for each model. We design and manufacture unique equipment which is used to provide access for disabled people, and as much as possible facilitate a level playing field across all abilities. We design and produce this equipment in good faith and presume that the end users of the equipment have an understanding of the principals involved, and will use the equipment in a safe manner. It has become apparent that this is not always so, and as the network of users has grown, we have not kept abreast of the need to provide instructions on how to use some of the equipment. Over the next few months we will issue instructions for several pieces of equipment including an update on the C Crane, solid seats and seat belts, reefing and the need to insert the keel pin. The boats are designed with a ballasted centreboard to give stability, but this works in conjunction with the hull form, and the centre of gravity and weight of the sailor. The seats are designed to keep weight as low as possible. It should be understood that very heavy sailors sitting up high will negate the effectiveness of the ballast which can lead to excessive heeling and swamping. The first thing to ensure is that the keel pin is always fitted, so in the case of excessive heeling the centreboard is locked in the fully down position. Next consider the weight of your sailor and the height of the seat you are using. If your sailor is likely to reduce stability then you need to consider the expected wind conditions, the sail area and consider reefing. Sitting high in the boat reduces stability, so the use of solid seats and cushions need to be considered. Keel pins correctly fitted, and a working reefing system are essential. We produce several solid seats and it has come to our attention that these may be being used not lashed or locked in position. Our bucket seat has flanges which facilitate lashing onto the aft seat tube. If a person, who isn’t capable of holding themselves in position is sitting in a sling seat and the boat heels excessively they will spill from the boat. 2), if the seat is fastened to the boat but the sailor is free to spill from the seat. If there is any chance that the sailor could be spilled from the seat when the boat heels to the wind, then a seat belt should be used. You need to determine where you anchor the seat belt. It’s pointless to attach it to the seat if the seat is not locked down securely. If you are using seat belts to restrain sailors then of course you have to ensure that the keel pin is always fitted. If you have any queries about how to anchor seat belts or seats, or are using a bucket or other solid seat and have questions about safety and security, please contact us. Under no circumstances are any modifications to me made to C Cranes without discussing the issue with us and understanding the ramifications of any modifications. C Cranes are for lifting people and objects up to 120 kg in weight, and the lift is to be vertical, not with the load hauling off beyond the vertical. Pulling and lifting from beyond vertical can apply unsustainable loads on the C Crane, and also cause chafe of the rope.